Another wine by the glass in Territorio Era and one that I have not seen before. Some cursory research on their web reveals that it is an old name (as you might have guessed from the subtle reference to the 18th Century on the label) that has been resurrected under new ownership. What isn’t all that clear is where the wine has come from. The web talks about recovering old cellars but there isn’t much detail of the origin of the wine itself. I am assuming it can’t all be from the old days – would make it very old indeed. In fact therw was some talk of the wine being forty years old with ten years in “estatico”, but it certainly doesn’t have any of the concentration of volatile acidity that that would imply. I would have guessed 18-20 years and according to the website I would have been right – 20 years on average. Not that there is anything wrong with that – the dinosaurs are fun but can be hard work. This has a lovely clear darkish walnut colour, has a nutty aroma and is nice and balanced, lively acidity and intense nutty flavour, quite alcoholic and potent but very drinkable. 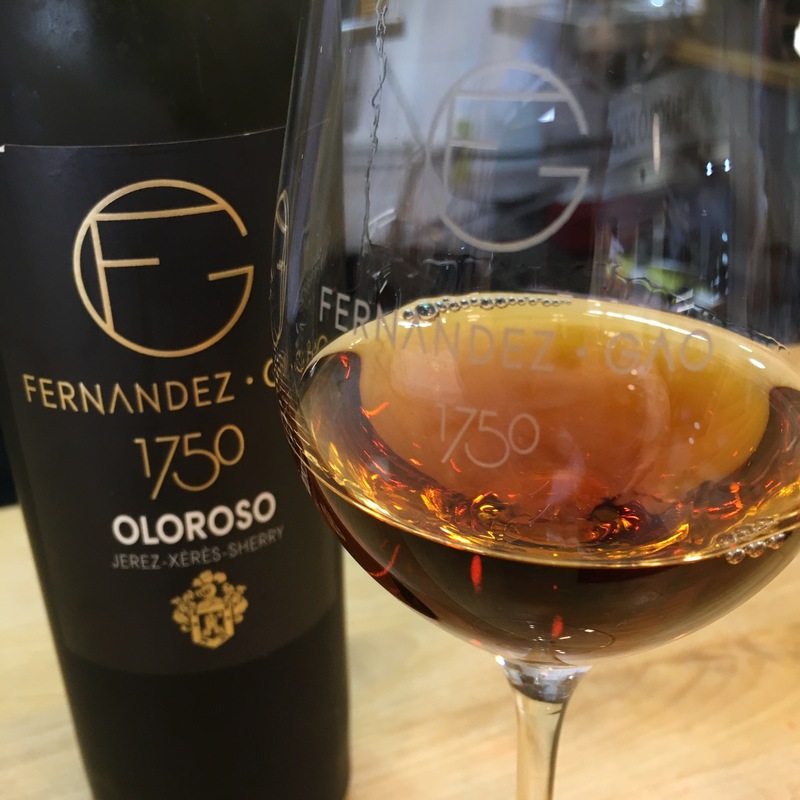 I started it with savoury but it almost paired better with sweet, which for me is a good sign in an oloroso. Another new old name and one to watch.